When I started my career all those years ago as a slightly nervous graduate trainee we had a week long residential to introduce us to our new banking career. 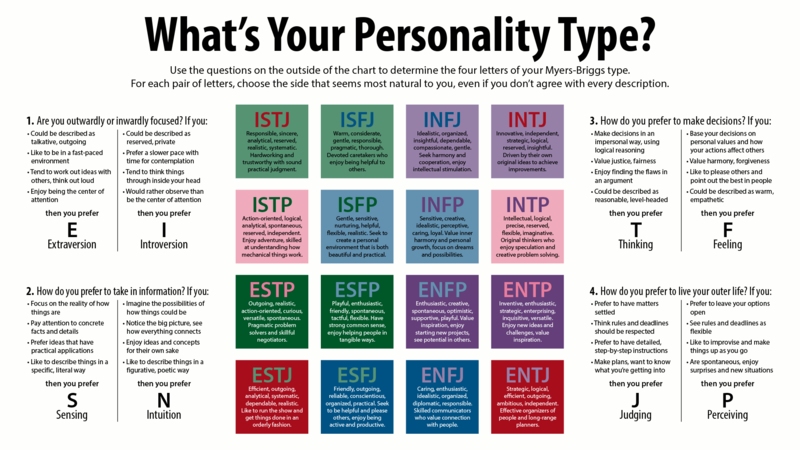 As part of this we all undertook personality tests, the Myers Briggs test to be exact. Whilst it analysed all types of our personality I have long forgotten what my other letters are, but one thing stuck in my mind, I am an extrovert. And with that I assumed that there was no need for alone time as an extrovert. It took me a while to realise that I do display many of the extroverted tendencies when I look at the way I am, despite the fact that I go cripplingly shy in situations that I feel are out of my control. There are times I hate making a scene, and times where I hate asking where the toilet is. The fact of the matter remains I am an extroverted person, I am an extrovert parent. But is there still a need for alone time as an extrovert? And where does that alone time come from when you are an extroverted parent? As an extrovert, I thrive off being around other people, their energy, their interactions with me. They help me refuel and recharge, I love nothing more than being in the company of others. I’m seen as outgoing and a “bubbly” personality. I adore meeting new people and it’s probably one of the reasons why becoming an expat has suited me down to the ground. The fast paced society, the meeting of people constantly, the hubbub and thrill of groups of people. It feeds me. It makes me who I am. But just because I am an extrovert, just because I refuel my tank by interacting with others, doesn’t mean that I don’t crave me time. I don’t crave alone time. I may not be an introverted mother who needs alone time every day to be the best parent they can be, but even as an extrovert I need alone time, I need time away from my kids. Even as an extrovert I need time on my own. So yes, there is a need for alone time as an extrovert. And time on my own I had. This weekend saw me head away from my husband and children on a girls weekend to Muscat, Oman. Not a hen party or a birthday celebration. Most definitely not a weekend filled with parties and drinking. A quiet, sedate, weekend away. One filled with sunbathing, and sunburn, my lord the sunburn I STUPIDLY got. I managed to burn my knee and my shin, who burns their shins??! Other than me naturally. It is the most painful place I have ever burnt in my entire life and it is the second time this has happened. Stupidly. Not only that but now that I’ve been back for three days my leg has returned to it’s natural shade of pasty white – so that there won’t be a next time I’m buying St Tropez in bulk from Ellisons to remind me of my University days. I digress. I was able to eat when I wanted, swim when I wanted, head to the beach when I wanted. Most wonderfully I was able to wake up when I wanted and have a nap if I wanted. After nearly two years of broken sleep this was a miracle in itself. More than that, I lay in silence and read books. Lots of books. Not a word left my mouth, not a word entered my ear. I entered into the world of books in a way I haven’t done since before my children were born. I devoured them. Gobbling up word after word and took myself to a land of make believe. I immersed myself in those stories. And it was wonderful. It was wonderful to be on my own, to not to talk to anyone. For once my extroverted personality gave way to an introverted need for silence. For me time. To be alone. And I enjoyed it for the weekend. But more than that it was wonderful to come home to the chaos, to the noise, to all three of my boys. So this extroverted mother realises the need to be away from the chaos, to appreciate the silence. But she also knows that when she comes home she will once again thrive off it, the interaction, the noise. I now appreciate that there is a need for alone time as an extrovert. And there’s no shame in that.